So when her ambitious uncle forcibly brings Frances to court, she is trapped in a claustrophobic world of intrigue and betrayal – and a ready target for the twisted scheming of Lord Cecil, the King’s first minister. Surrounded by mortal dangers, Frances finds happiness only with the precocious young Princess Elizabeth, and Tom Wintour, the one courtier she can trust. But is he all that he seems? 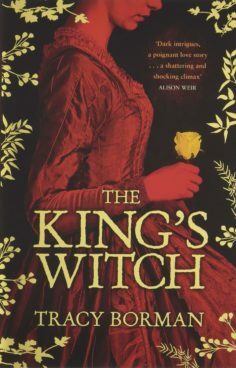 The King’s Witch is Tracy’s debut novel and was published by Hodder & Stoughton in 7 June 2018. It is the first of a trilogy, the second book of which will be published in 2019.